Showing results by narrator "Chris Van Strander"
No surgery. No medication. No drastic measures. Just healthy joints - for life! 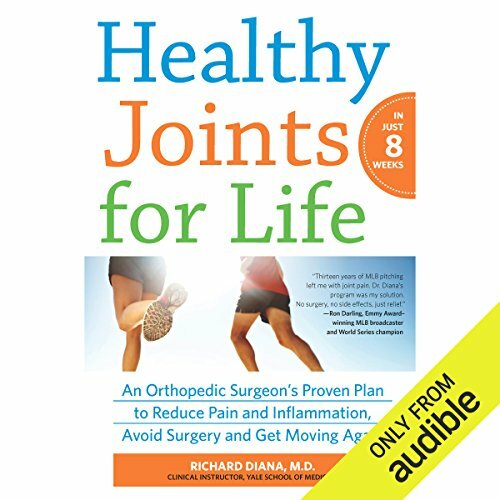 In this groundbreaking book, leading orthopedic surgeon and former NFL player Richard Diana, M.D., applies his unique experience and training to tackle join pain. Based on cutting-edge research that has clarified the crucial role of a molecule known as NFkB in regulating inflammation, Dr. Diana's proven eight-week program teaches you to harness the power of this research to reduce inflammation, relieve pain and rejuvenate your joints.